I mixed up this quick facial scrub after I tried to put on some new Mineral Make-up that I bought (free of any bad chemicals). I’m used to using a liquid foundation, and the pressed powder just didn’t go on nicely for me. So I wanted to try to get a smoother complexion and nice hydration to see if the make-up would go on better. After using this scrub at night and putting on the make-up in the morning it seemed to go on much nicer! Almond oil is rich in vitamins, helps maintain moisture levels and absorbs fairly quickly without blocking pores and the sea salt is exfoliates the skin (make sure to use fine-grain sea salt). 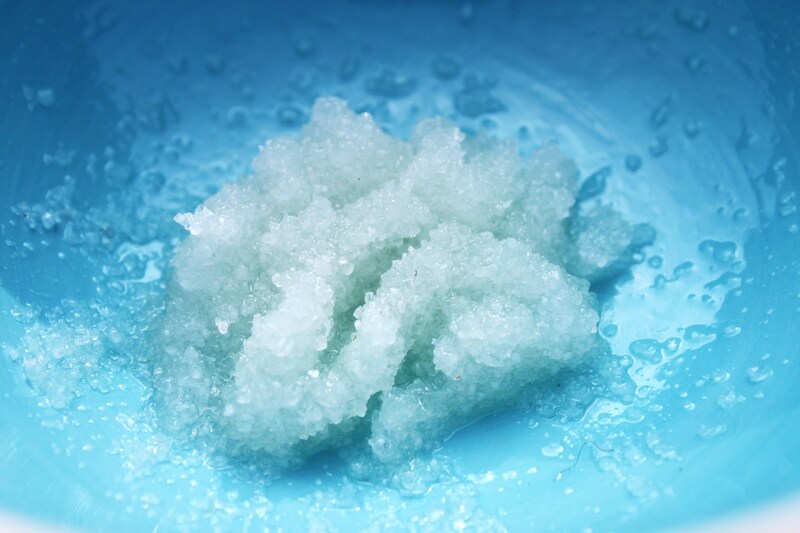 1 Tsp Sea Salt with 1 Tsp Sweet Almond Oil in a small bowl with a spoon until combined. Scrub lightly all over your face for about 10-20 seconds. Then using a facecloth and warm water gently wipe off. Rinse with cool water and pat your face dry.